Under a Foreign Sky is a play written for Theatre Centre by Paula B.Stanic. 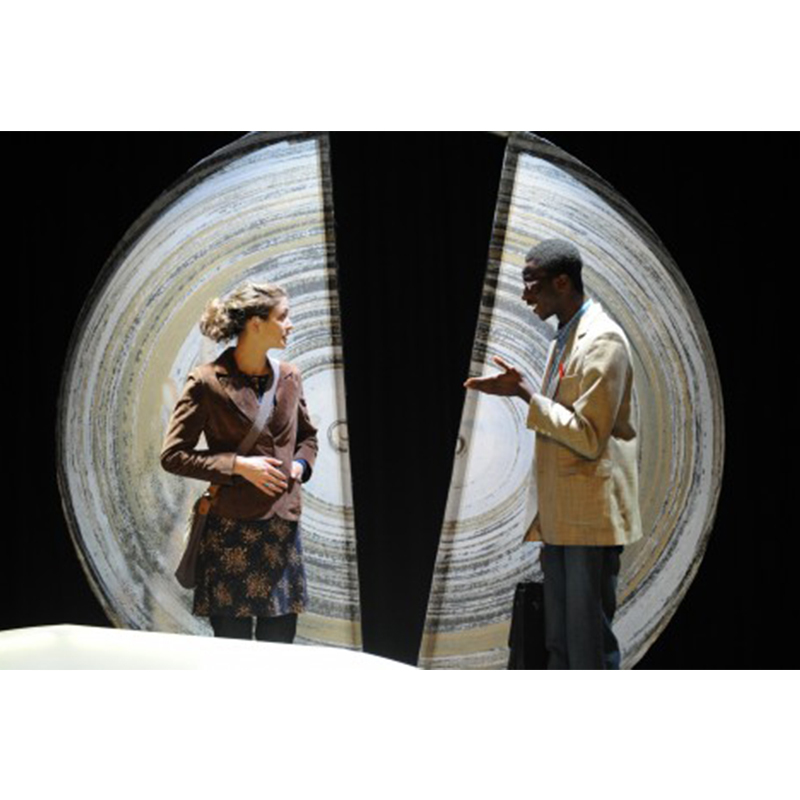 Theatre Centre toured this play to young people aged 13+ in secondary schools in 2011. 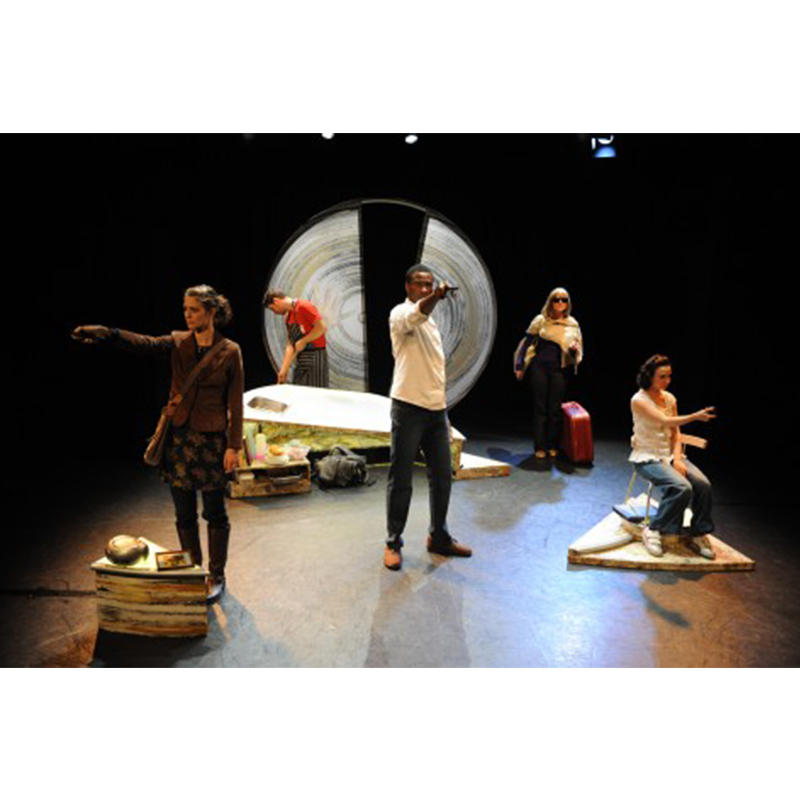 Inspired by the global economic crisis and its portrayal in the media, this play asked what happened to young migrants when they look to start again in a new country. Three young immigrants have made the journey to Britain for a new start. Bojan, nineteen, keen to be the next big chef, is ready to make a mark in his new world. Drina fourteen, struggles in a new land, a video camera connecting her to a place she once called home. Twelve-year old Ibi arrives and, swallowed up by the city, simply disappears. Three young people bound by a journey and a shadow that looms above. Cast: Daisy Whyte, Geraint Rhys Edwards, Joanna Simpkins, Miles Yekinni and Simona Bitmaté. "Thought-provoking, engaging and relevant. 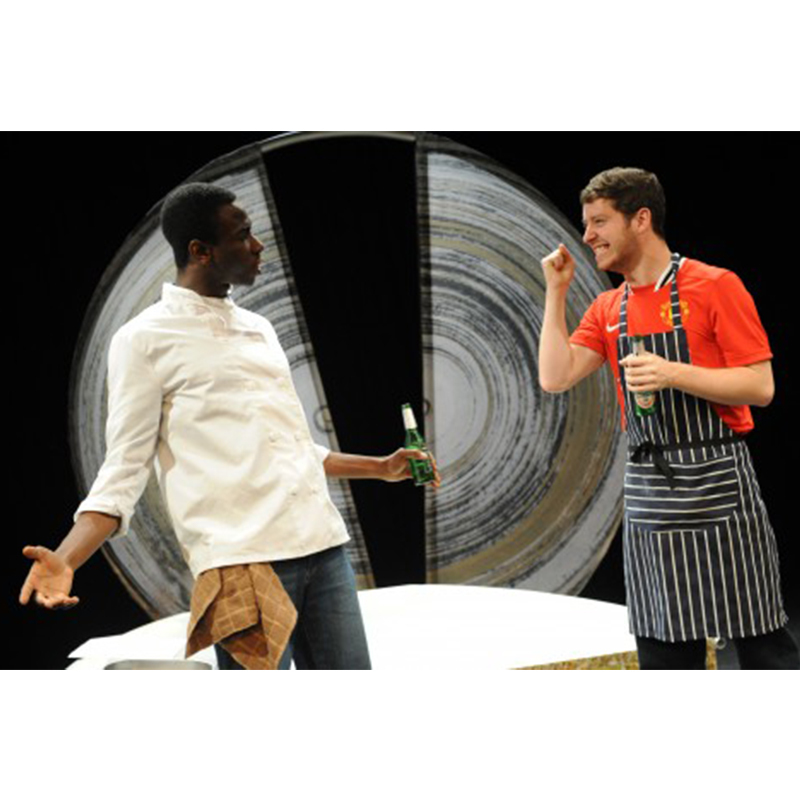 This is certainly a show that challenges the audience and will resonate with most."